It’s at this desk that the PaisleyTunes Music Machine is oiled and fed, where the incessant paperwork is managed. Where we keep the official seal of approval for each post. This is desk is what truly keeps The PT running smoothly and our interns happy. Sometime in July, whilst we were pondering a rising river and our imminent demise, the Westerly passed under our noses and let itself in. At that moment an eire quite passed over PT West and the machine coasted to a standstill. Later, as we (& God) shuffled our feet and fired lightening bolts into one another, our pinky fingers gingerly turned the same record over and over again in amazement of the seemingly infinite number tracks on The Days of Future Past. The calm eased our soul and brightened our spirits and we called each other on the telephone to talk about the great new sound on Our Children’s Children’s Children. Content, the PT bureaucracy dried up. It was not easy to perceive that there was something missing. Papers piled and dust settled and we began to consume Italian coffee for no reason at all. The numbing sound of static pervaded every song we reviewed and our quieted discussion hammered out the legitimacy of physical sound and the artistic value of the 1/4 inch chip modifying both I Want To Hold Your Hand & Don’t Bother Me, by necessity. Our sentences decreased in number as we consumed commas with fervor. Resolution was abundant. At the time, it was unclear what instigated the change, perhaps the seasons, or the full moon. the harvesting and pickling of banana peppers, or the end of months of travel and tasks. The stark emptiness in our souls was staggering and the September arrived. September holds a lot of value here at PT; It was the month The United States was given it’s name – The United States of America, the month the first glass plate photograph was taken by John Herschel, the month Texas lost 1/3 of it’s territory, and the month California joined the Union. So we often celebrate it with fan-fare. – Remarkably enough, the fan fare streams deeper into the PaisleyTunes past, as September also ushers the cooling of the desert. 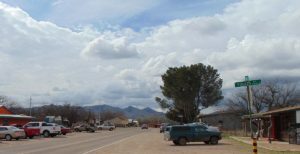 It’s been three, maybe four months of harsh summer days in Arivaca. The Monsoons are lingering and September means soon the days will be comfortable and cool. Where once there was an expansive emptiness, people return and we get to see friends again. The small coffee shop that serves hunters and the lost and wandering suddenly bursts with brew, pastries, and sound. Guitars, harmonicas, tambourines, saxophones, trumpets, percussion, hoots, hollers, and the inevitable applause for the encore. 3AM is too early to quit in September. 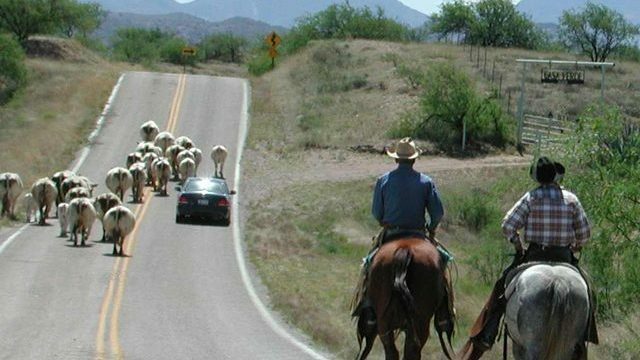 Soon it will be February in Arivaca, and a cold wind will pass through town, nights will creep up faster on the single street light and travelers will burden the highway. But today is September and it feels like Christmas in the abundant silver desert sage and creosote. Celebrate with PaisleyTunes and Arivaca and don’t forget to listen to some good ol’ fashioned folks play music. *our copy has vanished, but we’ll do our best to get a link to their soundcloud up as soon as we can.